The Psychoanalytic Center of Philadelphia (PCOP) is a non-profit organization founded in 1939 to promote the study and practice of psychoanalysis. The home of the Psychoanalytic Center of Philadelphia is the historic Rockland Mansion (1810) in Philadelphia’s East Fairmount Park. The Center is affiliated with the American Psychoanalytic Association and the International Psychoanalytic Association. Its mission includes education, research, and community service. The Psychoanalytic Center of Philadelphia provides high quality training programs to mental health professionals and to professionals from other fields whose work would benefit from an understanding of psychoanalytic theory and practice. PCOP's community service efforts are designed to provide a variety of programs which offer either direct clinical services or professional consultation to community agencies or community education about mental health issues, child development, and parenting. Do you want to know more about what's going on in the world of psychoanalysis and psychotherapy? 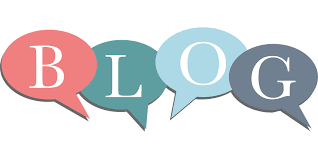 Check out PCOP's new blog, which will feature articles written by members, students and staff, on a variety of interesting topics, as well as videos and media from PCOP. Curious about what PCOP members are up to? Click here to learn about their recent achievements and publications! This page will be updated once a month with recent news about our members.